Dear Friends – this email may be one the most important emails I ever write. Please read through to the end as there is information contained herein that pertains to the well-being of our lives and that of our children and grandchildren. Over the past month, I have become increasingly ill due to the frequencies that are now being blasted at us 24/7 through the radiation grid. I have been hearing these frequencies for about two years and was hearing them even when I lived 20 minutes outside of the city in Columbia, MO. To me, these frequencies sound like a constant, low-frequency, metallic, mosquito-like hum. Health Effects Experienced by DTE Customers When Exposed to DTE Non-Transmitting Smart Meters. 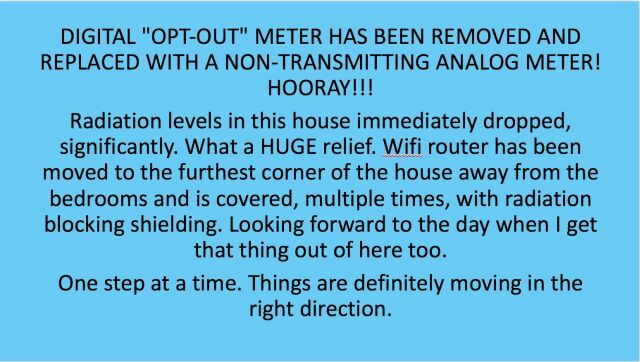 I phoned our utility company to explain what was happening and request that they remove the “opt-out” digital meter they had installed on my parent’s home July 31, 2016. To date, they have steadfastly refused to do so, despite my many conversations with them and explanation of all of the health issues we are now experiencing. I have decided to generate legal documents as provided by the InPowerMovement (http://inpowermovement.com) in the hopes that this will create some type of positive response from the electric company. The situation is out-of-control. I recommend everyone check out the InPowerMovement videos and documents so you can see what we can do en masse to get these creatures to back off from what they are doing. This past week, I traveled to Toledo, OH, ostensibly to meet with a specialist who I thought might be able to help me. Sadly, I did not receive the kind of help I am needing, but what I did receive was a one-week reprieve from the insane frequency attack that is now being directed at Long Island. 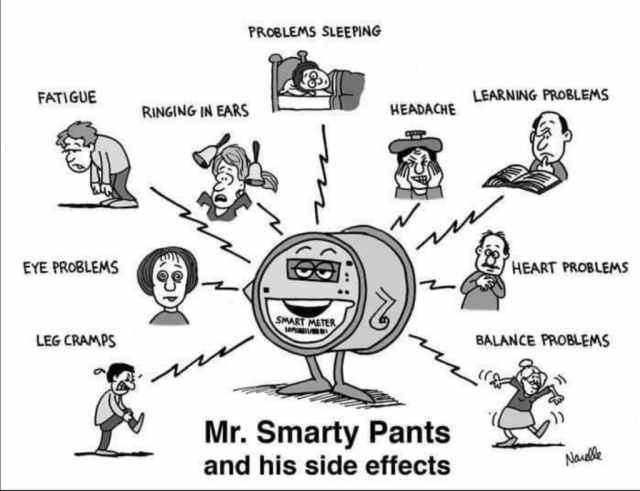 I stayed with a friend in Toledo who does not have a smart meter on his house and I was blessed to be able to sleep well again and to have all of my symptoms disappear while in his house. Some of the symptoms reappeared however, when I would walk into a local health food store in Toledo. I am sure this is because they had a digital meter installed on the building. These meters are being rolled out all across America and other parts of the world despite the many clear indications that this technology is making people sick. Because I care about my friends, I am making a heartfelt suggestion that if you still have an analog meter on your home, lock it down immediately. Purchase a cage with a lock on it so that these stealth alien invaders from the electric company cannot come to your home without your express consent and remove your analog meter and replace it with their toxic, trespassing, weaponized technology. The utility companies have been insidious in the way they are handling this, promising lower bills (although everyone’s bills skyrocket after installation), etc. They are manipulating people and installing these devices on the sly because they know what they are doing is evil. 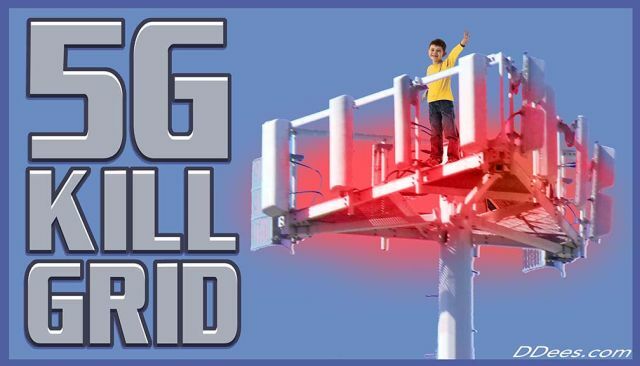 It is urgent for people to understand the danger to their lives and the lives of their children and pets that this technology poses – as well as the 5G transformers they are now installing on light posts all across America. ALL LIVING BEINGS ARE AT RISK BECAUSE OF THIS TECHNOLOGY. The trees, plants, flowers, birds, bees, insect of all kinds, etc. 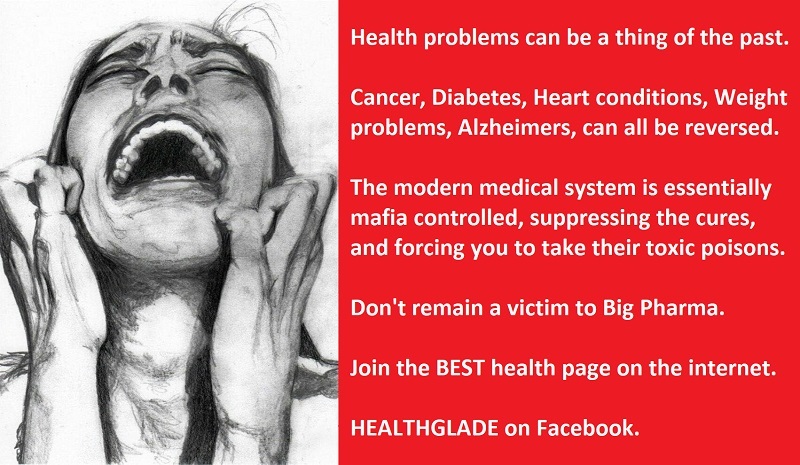 could literally be wiped out as a result of these dangerous, deadly, manmade frequencies. What is happening right now is very, very serious and it is absolutely time for us to stand up against these vile creatures and say NO MORE. We have been far too tolerant of their attacks against us and now, it is seriously life or death. If we do not do something now, our children will be infertile, our genetics will be comprised, illness will permeate our lives and our Earth will be destroyed. We cannot let them get away this. WE MUST COMMAND THAT THEY LEAVE OUR WORLD. When I use the word “weaponized” to describe these radiation-emitting technologies, I am not exaggerating. As many of you know, I have been researching the topic of ultrasound for the past four years and have become more and more horrified by the things I am uncovering. Ultrasound is part of this radiation-emitting, weaponized grid and in order to get a sense of how evil this technology really is, it is useful to read the words of a satanic “acoustic scientist” named Seth Horowitz (from Long Island) who enjoys making light of his own insanity. “[T]he effects that sounds have on us are useful for… taking an organized mind capable of plotting and carrying out plans, and using its own neural wiring against it. The basics of sound as a warning signal are built into us, from the deepest part of our brain stem to our highest cognitive centers. To destabilize a brain in a powerful manner, all you have to do is add on a few basic psychoacoustical features. Two nights ago, I spent the night in a small town in Western Pennsylvania on my way back from Toledo to New York. In western PA, microwave towers are now stationed along I-80 about every 5 minutes. This is not a joke. Although I rented a space at least 15 minutes off the highway, I nevertheless saw 2 additional towers between the placed I stayed and where I got off I-80 to head for my sleeping destination. Naturally, I did not sleep very well at this destination as there was a tower about 1 mile from the house. The frequencies were very LOUD at this house. Moreover, I am told by friends who live in the Pittsburgh area that their utility company does not give an “opt-out” option and everyone is being forced to have smart meters put on their homes or threatened with losing their electricity. This is how serious things have become. We have allowed ourselves to become completely dependent on their toxic, artificial system and now they can threaten to pull the rug out from under us if we do not acquiesce to our own demise. Never has there been a more important time for us to get serious about creating a way of life that is OFF THIS GRID. The Ringing Cedars books (http://ringingcedars.com) provide the best and most beautiful vision for a path we can take to achieve this and I sincerely hope people will read these books and take the vision into their hearts – and then put it into action. If I had the resources to purchase rural land right now, I would do so in a heartbeat, and then begin at once to build a natural structure that does not rely on any portion of their grid for warmth, cooling, power, or light. I would also learn how to grow my own food post haste because the sense of security that comes from knowing that you can sustain yourself and your family without (((them))) and (((their))) toxic products is what is needed most at this time. (b) moving requires money which I do not have. Please, if you can find it in your hearts to reach out to me with financial support, it would mean so much and might even save my life. 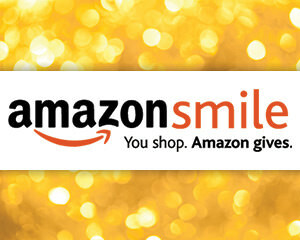 Paypal donations can be made to jeanicebarcelo@yahoo.com or mailed to Jeanice Barcelo, PO Box 1561, W. Babylon, NY 11704. If you reside in the U.S., postal money orders work best. [ii] Munawwar Husain et al, High Frequency Ultrasound Torturer, Journal of the Indian Medical Association, 107(12): 884, 886, 891-2, December 2009. I cannot wait for this to happen and am absolutely thrilled to receive this letter. Wow. I guess all of my assertions about holding them liable as individuals and in their corporate positions were finally heard. I have been working on the InPower documents for several weeks. I feel so tremendously relieved to be having that meter GONE from this house as I have been extremely traumatized by the illness it is causing both me and my parents. For my own part, I came back to my parent’s house two days ago, after a brief 5 day reprieve at a friend’s house. Within two hours of being in this house, the pressure in my head was overwhelming, the nausea returned, tinnitus symptoms came on strong, my temperature dropped below normal (meaning my body gives up and stops trying to fight or regenerate itself), and I experienced various aches and pain in my joints and throughout my lymph and adrenals. This is a brief description of my symptoms, without including what is happening to my parents. I received a radiation/EMF meter yesterday and began checking for myself what was happening in each room. There is one corner of my mother’s bedroom that has normal readings. Everywhere else has heightened levels of radiation/EMF. I assume this is because the digital meter sends microwave radiation through all the electrical wiring in the house. I have moved my bed into that corner of my mother’s room for the time being so at least I can sleep in a field that is clean. This will provide my body with some opportunity to regenerate itself. A dear friend has offered to loan me the money for a faraday canopy for my bed. It should be here in about 3 weeks and in the meantime, I will sleep in my mother’s room. What a blessing it will be to receive that canopy! Thank you Loula for your help with this! I drove around this area yesterday with my radiation/EMF meter on and was horrified at how many times the meter went into “red” just driving through this area. I had to drive all the way to the beach (about 20 minutes), crossing over multiple bridges and waterways to get to Robert Moses Island, and only when I was at the very farthest parking lot at the end of the road did I reach a place where radiation levels were normal. EVERYWHERE ELSE that I drove — every store I entered into, every parking lot — ALL OF THESE PLACES HAD EXCEEDINGLY HIGH LEVELS OF RADIATION/EMF. Driving near a tower (of which there were at least 3 between here and the Robert Moses beach) sent the meter into the extreme danger zone. All of those people who live near Cedar Beach are in extreme danger. The Babylon tower which is near the government building is also extremely dangerous and anyone who lives or works in this area is being hit very hard. It is absolutely insane what is happening in our society and we must — WE MUST – stand up against this. We cannot anymore lie down and allow these monsters to try to kill us and our children. It is absolutely urgent for people to get informed about this matter, get your own radiation/EMF meters (I bought the Acousticom 2 thanks to the generous donations of friends), find out what is happening in your homes and do everything you can to neutralize these energies. Do not purchase any appliances or automobiles that use “smart” or wireless technology. You will be putting yourself and your family in danger in so doing. All printers, computer mice, cordless keyboards, laptops with wireless on, cordless phones, wifi routers, etc., are extremely harmful. Purchase only devices that are WIRED. Do not allow installation of ANY digital meter or any smart technology in or around your home. This includes water meters, temperature controls, etc. As soon as you receive the “notice” from your electric company regarding “upgrading” your meter, RESPOND TO IT BY SAYING NO!!! You must respond to that “notice” or they assume you have given your consent. You must command that only an analog meter will be allowed on your home — and if necessary, lock that meter down so they cannot touch it. This is extremely important. Do not allow installation of solar panels. This is how they are locking people into their mesh network. There is nothing “green” about this “smart” solar technology. It produces filthy electricity that will slowly degrade the health of everyone in the house. If they install solar panels, they will insist on installing a digital meter as well. Don’t let them do it. These past few weeks have turned out to be a crash course for me regarding what the hell we are truly up against with these toxic technologies and what we need to do about it. 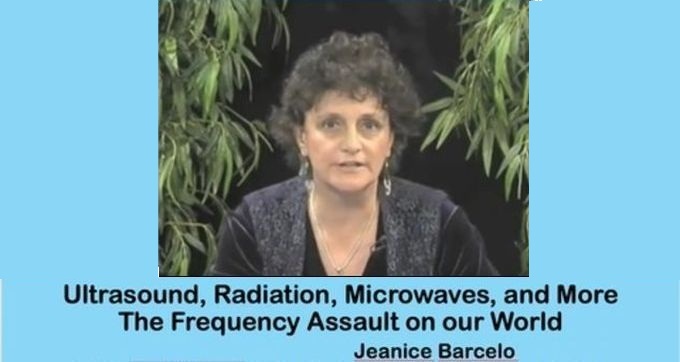 I never would have imagined that while I am writing a book about ultrasonic irradiation and the damage it is wreaking on the genetic, immunologic, and reproductive health of our children, that I would succumb myself to microwave radiation poisoning. This has been a major wake up call for me and I pray that all of my friends will hear me and take the necessary steps now to protect yourselves and your families. We are in great danger at this time. These frequencies are deadly. The radiation is deadly. Our government has declared war against us which means that we must rise up and put a stop to this now. It is imperative to stand against those who would deliberately try to kill us and our families. We cannot allow the decimation of life of Earth. I will keep you updated as things progress. Thank you to everyone who has reached out to me with financial support and kind thoughts, words, and deeds. Please do keep me in your prayers for the full restoration of my health. And pray that the digital meter is removed swiftly from our home so that this nightmare can finally come to an end. 9-27-17 Sofia Smallstorm interviews Jeanice Barcelo about her forthcoming book, “The Dark Side of Prenatal Ultrasound.” This conversation goes deep into the EMF weaponized grid that now surrounds us and of which manmade ultrasound frequencies are a part. The list of potential damage to developing babies is basically endless and includes infertility, DNA damage, growth retardation, hearing loss, birth defects, neurological damage, autism, heart defects and much much more. To understand the nature of this assault, it is beneficial to listen to the wisdom and information being presented here. This interview goes deeper than any of the others that have come before and the video includes a few important slides that people will benefit from seeing.